2 MIX bread crumbs, cheese, lemon peel, salt and pepper in small bowl. Stir in Spread; set aside. 3 BLEND Hellmann’s® or Best Foods® Canola Cholesterol Free Mayonnaise with tarragon in another bowl; set aside. 4 ARRANGE cod or halibut on baking sheet. Spread with mayonnaise mixture; press on bread crumb mixture. 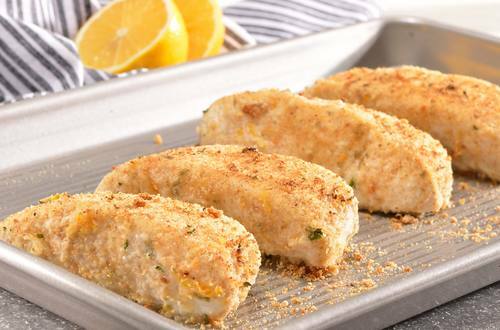 Bake 10 minutes or until cod flakes with a fork. Drizzle with lemon juice.